If you’re searching for a versatile crossover, one that can help you jump from Avon and Plainfield to Indianapolis with ease, then both the 2018 Toyota RAV4 and the Honda CR-V may seem like appealing options. However, in this comparison by the Andy Mohr Toyota team, we’re going to show you how one of these vehicles sets itself apart from the other. From major road trips to everyday work commutes, it’s important that your crossover can protect you in the tough situations. Between these two vehicles, you’ll find some of the same standard features. For example, handling technologies are heavily used in each. Namely, stability and traction controls are prominently featured. 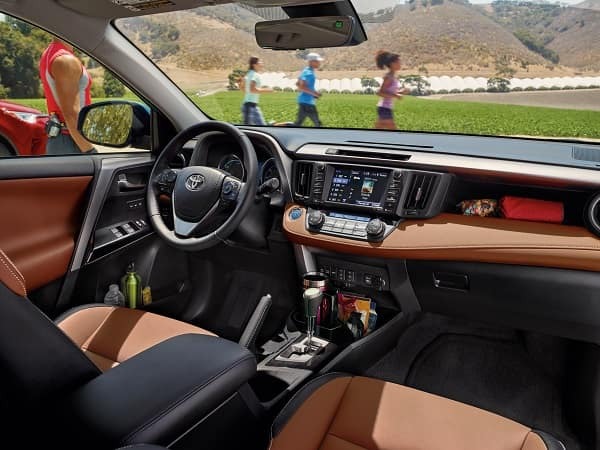 The Toyota RAV4 adds the Toyota Safety Sense™-P (TSS-P) suite of smart safety to its base trim. TSS-P can actually predict when collisions will occur using sensors and small cameras. In some cases, it can even act autonomously to prevent them. The Honda CR-V has a similar suite with Honda Sensing®. The big difference is that this suite is only available as an upgrade. To get that level of protection, you’re going to have to pay. In addition to this safety technology, you’ll have quite a few technologies in the cabins of each of these crossovers. Some of these gadgets are information based, while others are all about the entertainment. 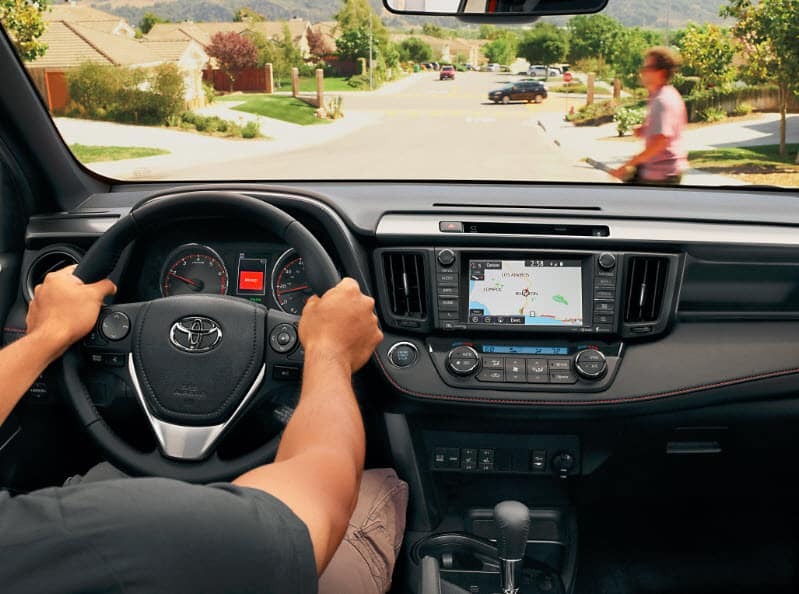 The Toyota RAV4 base trim comes standard with Entune™ audio. This entertainment package features a 6.1-inch touchscreen, 6 speakers, Bluetooth®, and more. You’ll also have Bluetooth® in the base trim of the CR-V, but only a 5-inch touchscreen and 4 speakers are included. Likewise, some of the RAV4 trim upgrades turn out to be more robust than the competitor’s. For example, at its top trim, the RAV4 has a JBL® audio system with 11 Greenedge™ speakers. At its top trim, the CR-V only includes 9 speakers. Overall, the CR-V just fails to match up to those RAV4 offerings entertainment-wise. True crossover versatility doesn’t just come from its performance and interior features; it also comes from a smart exterior design. The Honda CR-V looks like it was meant for city and suburban living. An Active Shutter Grille highlights its sharp fascia, granting it the aerodynamics necessary for cruising down the highway. The RAV4, however, was made with city, suburban, and off-road adventures in mind. Dynamic 18-inch black alloy wheels, large overfender flares, and enduring rocker panel guards are all standard. It’s got the aerodynamics necessary for the highway but also the features necessary for the road less traveled. After closer inspection, it just seems clear: In a head-to-head matchup, the 2018 Toyota RAV4 sails well past the 2018 Honda CR-V. Its safety, design, and technologies just can’t be matched. Indianapolis, Avon, and Plainfield drivers can learn more about the RAV4 by getting in touch with out team. Contact Andy Mohr Toyota today for more information.